Fantasy of Lights 5K is POSTPONED to TOMORROW. Click here for details. 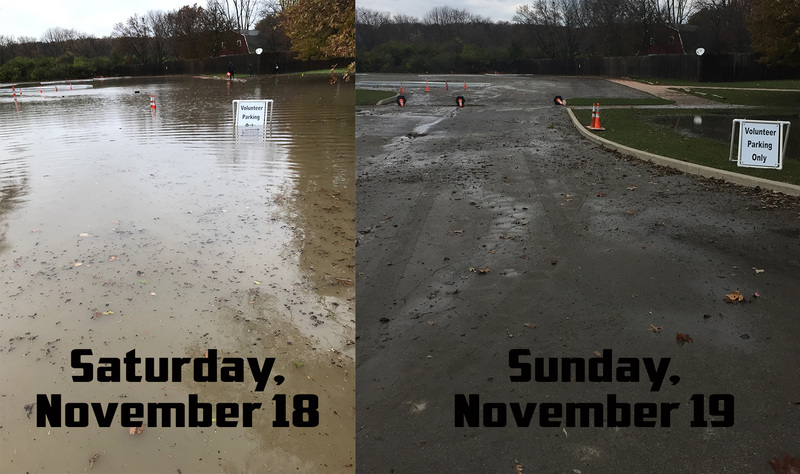 The 5K (both waves) has been postponed until Sunday due to flooding in Franke Park. It will go on as scheduled on Sunday as the flooding has subsided in the park. Packet Pick-up will open early and be held from 1:00 to 7:30 pm at Franke Park Pavilion #1. The rain has slowed down and is expected to cease this evening with no precipitation tomorrow. That being said, there are 8-10" of water in some locations on the course, so we will continue to evaluate the situation and make every effort possible to hold the event tomorrow evening. We will alert all participants if there are any other changes to the above schedule. We do ask that following the race the 5:00 participants be sure to get their food and hot chocolate and try to clear the park as best they can before the 6:30 Family 2K Walk takes place in an effort to ensure the schedule moves smoothly. We apologize for this change as we understand the efforts you made in registering for and committing to this event, but we must put safety first and keep our participants out of any potentially dangerous and unsafe conditions. Thank you for your understanding.